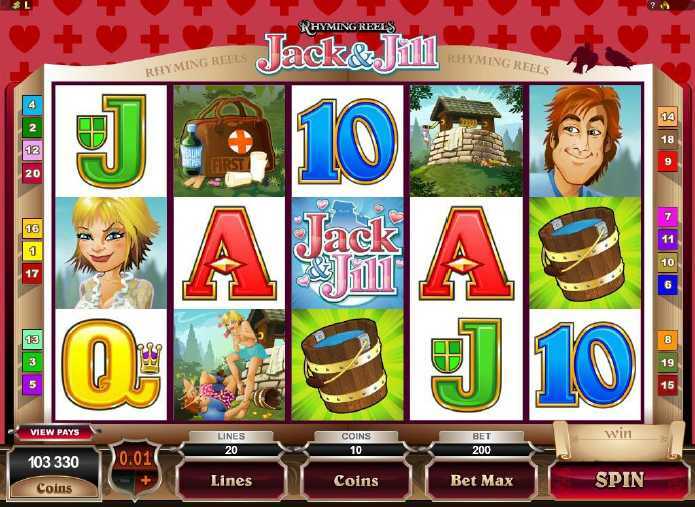 Jack & Jill, the latest addition to Red Flush Casino’s fun Rhyming Reels series of video slots, offers an amusing and slightly risqué take on the ancient nursery rhyme which forms the theme for this new 5 reel, 20 payline game. Red Flush Casino :: Rhyming Reels - Jack & Jill video slot - PLAY NOW! 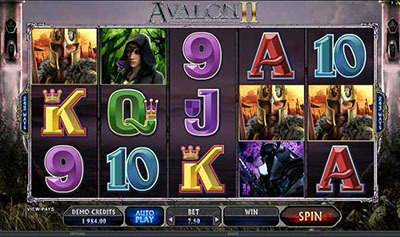 However, there’s nothing ancient about the software powering this entertaining and rewarding video slot – it’s both modern and chock-full of features like Free Spins, generous Multipliers, Wilds and Scatters…and emphasising its romantic nature, there’s a mixed pay combination whenever the Jack and Jill symbols appear adjacent to each other on the reels. 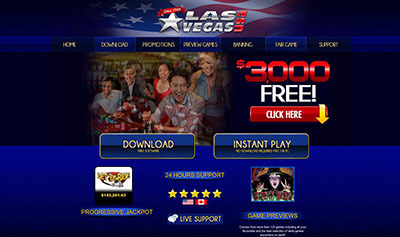 The Free Spins feature in the game delivers 15 free spins with a 4x Multiplier whenever it is triggered by 3, 4 or 5 pails of water appearing across the reels, and the Jack and Jill combined logo acts as the Wild, adding a 2x multiplier for each Wild in a win and helping the player to build winning combinations through its power as a substitute. With a maximum bet of 20.00 and a betting range between 0.01 and 0.10 a line, Rhyming Reels – Jack & Jill will suit most bankrolls and provide hours of cost-effective entertainment with good chances for profit – check it out now at Red Flush Casino.